Like a supersonic F-16 fighter jet, the 2018 Farnborough International Airshow has been and gone in a flash and with it, billions of pounds worth of new aircraft deals. 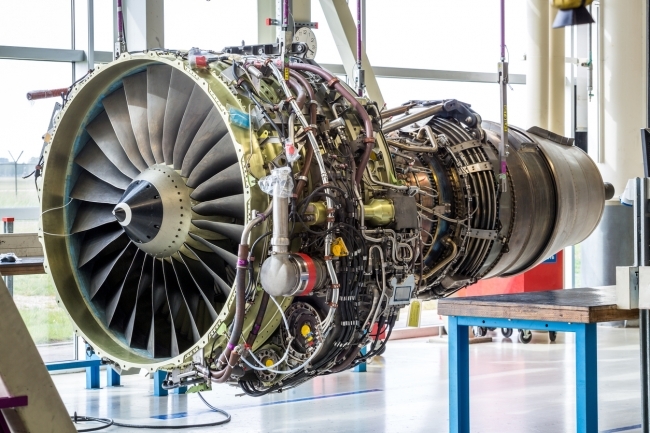 UK aerospace companies are expected to see approximately £22bn in value from orders and commitments announced at the show. * Helena Sans from Barclays looks back at this year’s key aerospace event. Yes, this was a huge success for business. Official figures show more than 1,400 commercial aircraft were ordered during the week. * Going into the show, the industry backlog is at a record high, in excess of 14,000 aircraft on the books. Farnborough 2018, as both a barometer of a global industry and for Brexit, bodes well. Experts before the show suggested that a good show would support Prime Minister Theresa May’s Chequers’ vision for a “compromised Brexit” but a bad Farnborough would be a warning to the future of Britain’s aerospace sector, the world’s second biggest. UK industry powerhouses, Boeing and Airbus both had excellent shows, securing commitments for nearly 1000 aircraft between them. * But Farnborough also provided a very strong vision of the future of aviation. Everywhere were futuristic exhibits with new, supremely engineered and often intelligent (connected) equipment, concept aircraft and new ‘urban mobility’ demonstrations. Farnborough demonstrated to the industry and, importantly, the public, the direction that aviation wants to go: lighter, better, faster, more customer-focused and greener. It also showed the sector is attempting to tackle big problems such as urban congestion. It was an opportunity for the UK government to put its shoulder behind UK aerospace at a testing time. Announcements by the Prime Minister and cabinet ministers on the first days of the show included R&D and innovation projects worth £343m* and a new Combat Air Strategy, including a new all-British jet fighter. Also revealed was the site of a new UK spaceport in Sutherland, Scotland as well as development funding for (space) horizontal launch sites in Cornwall, Wales and Prestwick. The Cornwall and Wales Aerospace exhibits, as did others, looked really professional and well-funded. Farnborough is a brilliant showcase for engineering technology, bringing such visible and aspirational context to the work that some of the world’s best engineering teams are working on. These complex products also emphasise the global, integrated nature of aerospace. A scale model of Britain’s planned new fighter jet, the Tempest, was on show. It’s a collaboration of BAE Systems, Rolls-Royce, Leonardo, MBDA and the MoD, which can either be flown by a pilot or operated remotely. A version of Tempest is expected to eventually replace the Eurofighter Typhoon but not until at least 2035.. A big feature of Tempest will be next-generation technology on board designed to cope with modern threats. There was much more technology on show, with drones – both military and civilian applications – a strong feature. Concept aircraft, or at least models of them, such as Boeing’s Blended Wing Body concept and Hypersonic Vision that can hit Mach 5 or more, five times the speed of sound, a main feature of Boeing’s visitor pavilion, as well as their autonomous submarine, Echo Voyager. Personal and urban air mobility was a strong theme. A head-turning aircraft design came from a novel consortium of Rolls-Royce, Cranfield Aerospace Solutions and sport carmaker Aston Martin, which presented a new concept in personal mobility for fast, efficient and urban and inter-city air travel. The Volante Vision Concept is a vision of a luxury flying autonomous hybrid-electric vehicle with vertical take-off capability. Really, it’s a posh personal drone. The Volante showed us a glimpse of the future of digital aviation, featuring autonomous systems and the electrification of aerospace, and shows that more research dollars are pouring into urban mobility solutions, as aerospace companies seek to solve big city congestion. One of Airbus’s star exhibits was its new A220-300 plane, designed for the 130-160 seat market. This aircraft was formerly known as the Bombardier CSeries before Bombardier sold its controlling stake in the programme to Airbus earlier this year. The popular A350-XWB was also at the show taking part in the flying display and for such a big aircraft, was surprisingly quiet. One neat technology that caught my eye were robotic engine maintenance applications developed by Rolls-Royce, Harvard University and the University of Nottingham. “Swarm” maintenance robots are designed to penetrate the engine and perform on-wing engine inspections. In development, the tiny “beetle-like” bots will be just 10mm in diameter and use cameras to provide a live video feed while crawling through aero engines. Rolls-Royce says that these swarm robots could help map the internal engine, pinpoint faults and negate the need for time-consuming manual inspections. Equally interestingly, the beetle-bots are deployed by snake-like robots that weave into the workings of the jet engine. The new airport and spaceport industry is active in the UK. Farnborough revealed plans for a new rocket launch site in Sutherland on the north coast of Scotland. And Spaceport Cornwall, a UK spaceport based at Cornwall Airport Newquay was announced. It will initially launch satellites but could eventually host space tourism flights with Richard Branson’s Virgin Galactic, with 480 jobs and £25m promised for Cornwall. Talk of siting a spaceport in the UK have gone on for over a decade, but business secretary Greg Clark’s announcement at the first day of the air show was the first firm sign of these plans being put into government policy, accompanied by an announcement of a £50 million UK space launch fund. It was great to be able to attend the show supporting a number of our clients across both the sme and large corporate space. 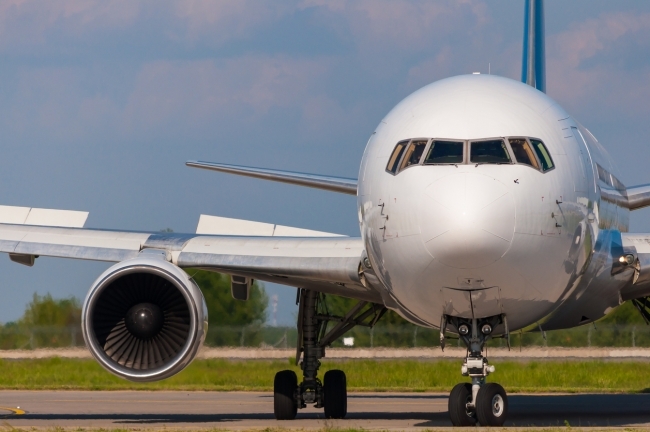 The aerospace sector represents an important franchise of the Manufacturing, Transport and Logistics Team at Barclays and we are proud to be a key financing partner across the supply chain of such a dynamic industry. Overall, Farnborough was a reminder to the world why aerospace is so big and so good in the UK, and it seemed that talk of Brexit gave way to a more concerted discussion about future aviation platforms.